Custom Concrete & Stone Design, Inc. Comment: Driveway is approximately 10" X 100'. Comment: Need an old concrete driveway ripped out and a new one poured. Frankfurth & Assoc. Landscape Contracting Inc.
N. 90 W. 25401 Tomahawk Dr.
Milwaukee Concrete Contractors are rated 4.80 out of 5 based on 257 reviews of 33 pros. 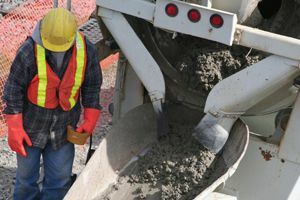 Not Looking for Concrete Contractors in Milwaukee, WI?